It doesn’t feel like it was very long ago when it seemed like everyone was talking about Portal. Valve’s incredibly well done puzzle game did unique things with its gameplay and writing to leave a lasting impression. The problem? Well, it’s been years since we’ve last seen a Portal game, and that’s a real shame. Luckily for us, the makers of the Q.U.B.E. series have picked up where Valve left off. The original Q.U.B.E. (or the Director’s Cut, depending on the version you played) gave that same feeling all over again that we felt with Portal. 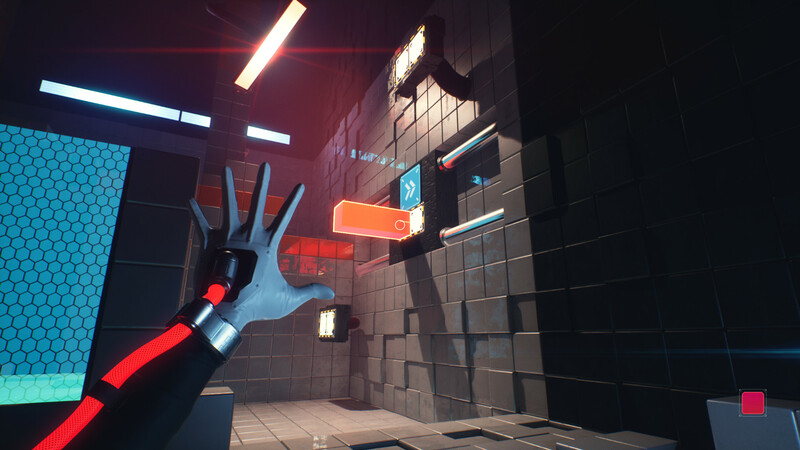 Now the developers have come back with a sequel, Q.U.B.E. 2, and it’s an absolute blast to play. In Q.U.B.E. 2 you play the role of Amelia Cross, an archaeologist who wakes up in a vast alien structure with no memory of how she got there. Shortly after awakening, she finds that she’s wearing a power suit that enables her to interact with the alien machinery inside. This interaction allows her to imprint square pads dotted around each large room with various color-coded attributes. Blue squares become bounce pads, red squares extend as platforms, and green squares spawn their own solid cubes. By combining these different attributes, you can solve the game’s many room-sized puzzles. 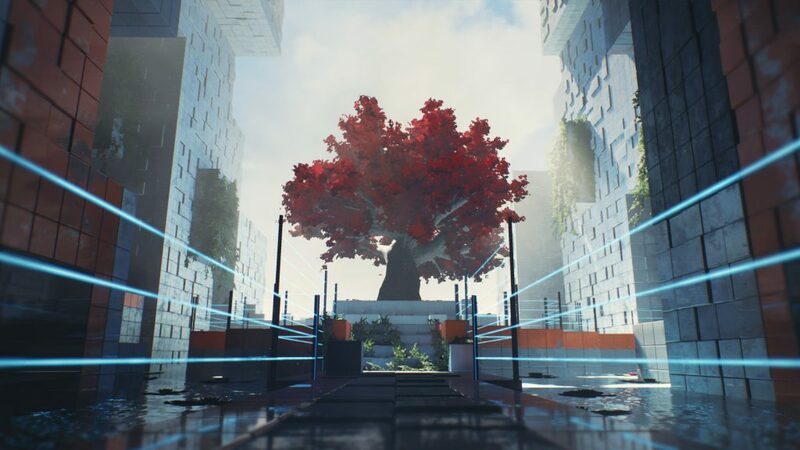 One of the things I loved about Q.U.B.E. 2 was how well the puzzles were constructed. Like in Portal, most of the puzzles in Q.U.B.E. 2 require a bit of learning and a bit of trial and error. In a large number of puzzle games, this can walk a fine line between fun and rewarding to frustrating. Luckily, Q.U.B.E. 2 manages to show you a puzzle, allow you to figure it out fairly easily, and move on. I think there was only one puzzle that made me completely stop and spend a bit of time trying to figure it out. The funny thing is the solution to that puzzle was really easy, I just simply overlooked the obvious answer and was trying something more complicated. I also really loved how they would add in new elements to the puzzles slowly. The first few rooms you dealt with taught you your first ability, blue bounce pads. Then once the game felt you got the hang of it, it added rooms with blue bounce pads and now red extending platforms. It did the same for the next color as well, green. I really liked this approach because it allowed me to take time to learn and get used to an ability before it moved me on to the next. Once I had gotten down the three abilities, the game turned up the difficulty of the puzzles to test how well I truly learned the abilities. Another thing that I really enjoyed with Q.U.B.E. 2 is just how beautiful the game looks. Yes, most of the world involves blocks; however, the developers did an amazing job making this world look incredible. It’s the small details that make this game shine. Parts of the game early on that are alien feel stark and sterile, while later on the environments move to a more lush and natural look. The detailed environment lighting really has a great effect on how well the game looks. 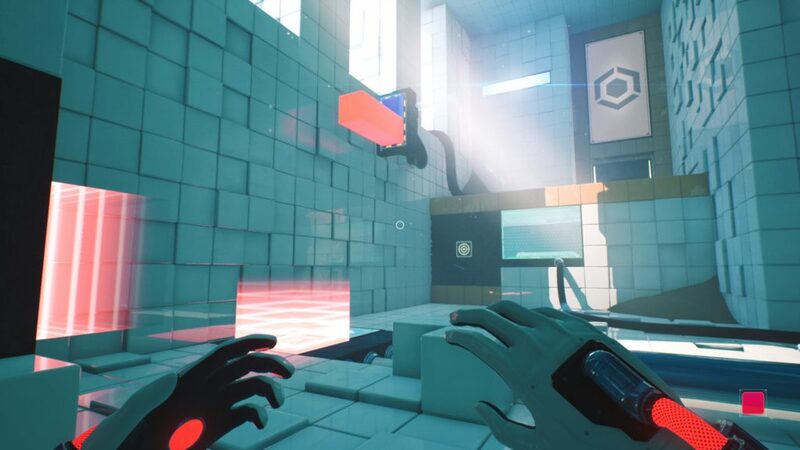 This being the Switch version of Q.U.B.E. 2, it must be said that the game looks and runs well on Nintendo’s hybrid console. Personally, I preferred playing the game in docked mode with a Pro controller, it was just easier to control and be able to see the details of the game. That said, the game really looks great on the portable screen as well. The game also played quite nicely. 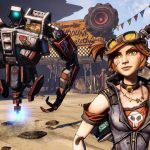 Early information about the game mentioned issues with frame rate on Switch; however, the developers have since put out a patch to fix this. 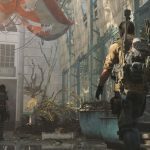 I played the game pre-patch and post-patch and can say the issue has been resolved. My only real issue with Q.U.B.E. 2 is just how slow your character is. There is no run button or any sort of ability to speed her up. This might seem like a very small thing, but it can grow a little annoying after a while. If, for instance, you’re trying to solve a puzzle and mess it up at some point, requiring you to restart, it’d be nice to be able to run back to the start rather than slowly walk back to the beginning. It’s minor, I know, but after playing six hours or so of the game, slowly walking around grows on you in a bad way. This is by no means a game-breaking issue though, you will still enjoy this game greatly. It’s just one of those smaller details I wished was fixed since it would make for an even better experience. Q.U.B.E. 2 is one of those unique puzzle games that scratches that Portal itch and provides hours of great fun. The excellent design for the puzzles make solving them a treat, the slow ramp up of different abilities keeps the gameplay fresh, and the sheer beauty of the crafted world makes the game a delight to play. If this game had a run button to allow the character to move faster through rooms/puzzles, it'd be damn near perfect in my book. 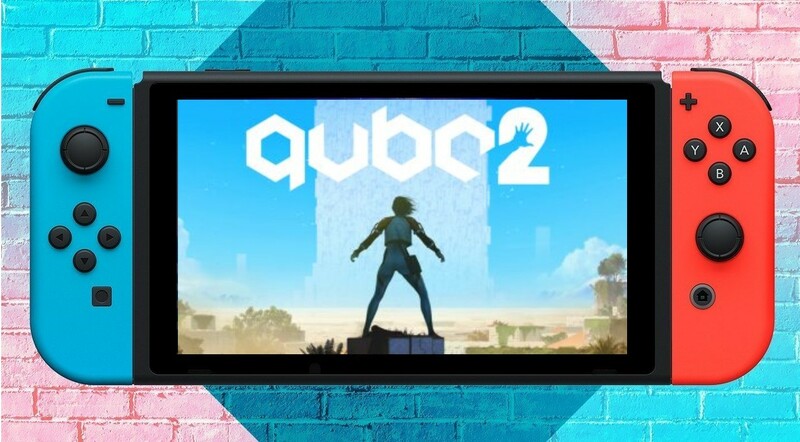 If you're a Switch owner looking for your next great puzzle adventure game, look no further than Q.U.B.E. 2.